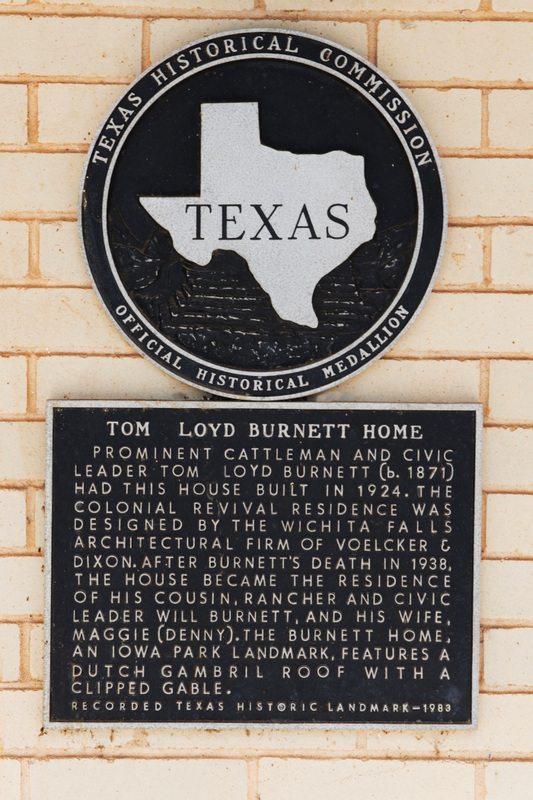 Prominent cattleman and civic leader Tom Loyd Burnett (b. 1871) had this house built in 1924. 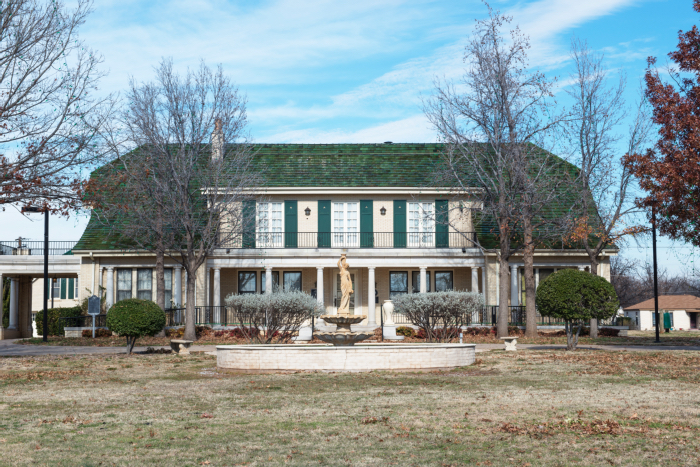 The Colonial Revival residence was designed by the Wichita Falls architectural firm of Voelcker & Dixon. After Burnett's death in 1938, the house became the residence of his cousin, rancher and civic leader Will Burnett, and his wife, Maggie (Denny). The Burnett home, and Iowa Park landmark, features a Dutch gambrel roof with clipped gable. 400 West Alameda Street, Iowa Park, Texas. GPS 33-degrees 57' 20.8" N 98-degrees 40' 21.4" W.